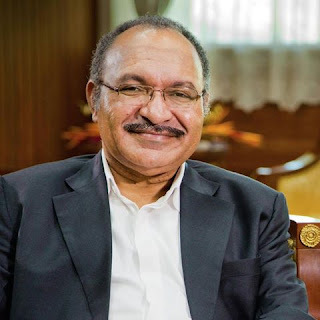 Papua New Guinea Prime Minister Peter O'Neill has issued a stern warning to the nation's disciplinary forces against engaging in unacceptable behaviour. Peter O'Neill has directed heads of the three disciplined forces to immediately enforce the 'one-strike and you're out' policy following recent reports of undisciplined behaviour by members of the forces. Mr O'Neill says he's disturbed by the action of a handful individuals who've disgraced their service with unruly behaviour. The Prime Minister says the report he's received on the Boroko incident is very concerning. Police officers were reportedly assaulted and shots were fired. About nine soldiers were alleged to have carried out the attack assaulting several officers on duty as well as the National Capital District Metropolitan Superintendent, Ben Turi. Defence Force Commander, Gilbert Toropo says, soldiers involved in the assault will be dealt with. Prime Minister O'Neill says the public expects better from service personnel and if such is their behaviour, then they do not deserve to wear the uniforms. Mr O'Neill says the government has invested significant resources into restoring the disciplined forces, adding its now up to the relevant commanders to finalize their investigation and take firm action against those who've offended the law and disciplined codes of conduct.